The majority of our dogs have been collected from dog pounds, and it’s very rare that we will have any history on them. During their time with us, they are assessed and walked by us to find out as much as we can about their characters. However, no kennel environment is the same as a home and so the dogs may display different characteristics in the home that we haven’t seen. There are many aspects you need to consider before rehoming a dog therefore we ask that you read this Guidance before you go any further. Please fill out our Pre-Adoption Questionnaire so we are able to better match your needs and lifestyle to one of the dogs we have under our care. 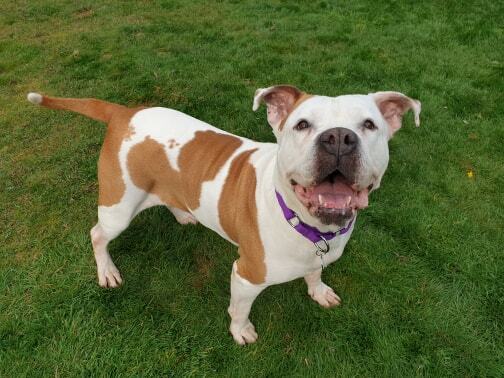 If both parties decide that we have a dog suitable to fit in with the potential adopter’s lifestyle then we can arrange a “meet and greet”, either at our kennels or with the foster carer, at a convenient time for all involved. You are welcome to (and we recommend that) you come and visit your potential new pet as many times as you like before making the commitment to adopt. The whole family must be 100% committed to wanting a rescue dog. The rewards are tremendous and rescue dogs make loyal and faithful pets. However, you need to remember that they are needy and often disturbed by their past treatment. Please consider whether you have the time, patience and love to give to such a dog. Many have been to hell and back, and it can affect them greatly when people adopt them then return them within a short time, without giving enough time to settle into their new life. If you make the decision to go ahead and adopt, you will be subject to a home check where a member of our team will come and visit you at your home to make sure you live in a suitable environment to own a dog. Once you have been approved by the home checker, we will complete the Adoption Agreement with you and you will be asked to pay a minimum of £150 donation that will go towards to running costs of our organisation. From this point onwards, you will be responsible for all veterinary fees and third party liability, and will be under the obligation of all points covered in the Adoption Agreement. We offer lifetime back up to all dogs rehomed by us, and are on hand with advice and support throughout the dog’s life. Please be 100% committed before adopting. The donation we ask for is non refundable, it enables us to rescue more dogs and pay for any veterinary treatment required. PLEASE think about this seriously before you adopt a dog from Helping Yorkshire Poundies.